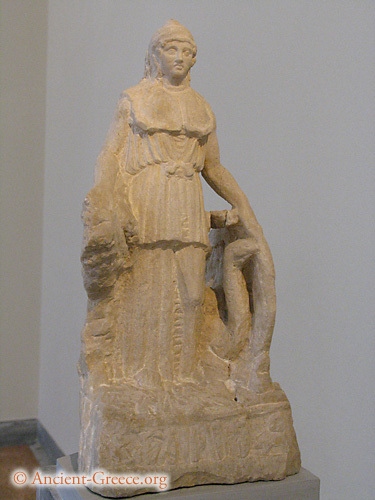 Another marble replica of the famous statue of Athena Parthenos made by Phedias. The original statue was colossal in size, made of ivory and gold, and was made for the Parthenon. This copy from the first century BCE is unfinished. Archaeological Museum, Athens, Greece.